I don't want to only share updates on my advocacy work here, but right now, my advocacy work and my life intertwine a lot. It's starting to be a bigger part of my life, and as exciting things happen, I want to be able to share them with all of you. 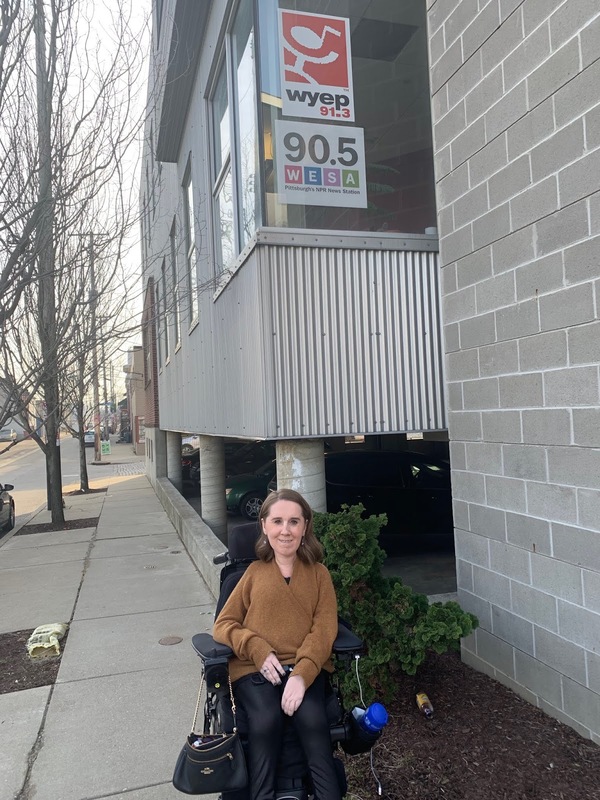 I mentioned this in Friday's post (here), but last week I got the chance to talk about Accessible YOUniverse and the article that I wrote for Public Source on 90.5 WESA, Pittsburgh's NPR radio station - you can listen here. This was so exciting for me - it really made me feel like people were starting to hear about what I've been working on. I've done some interviews before, after winning Ms. 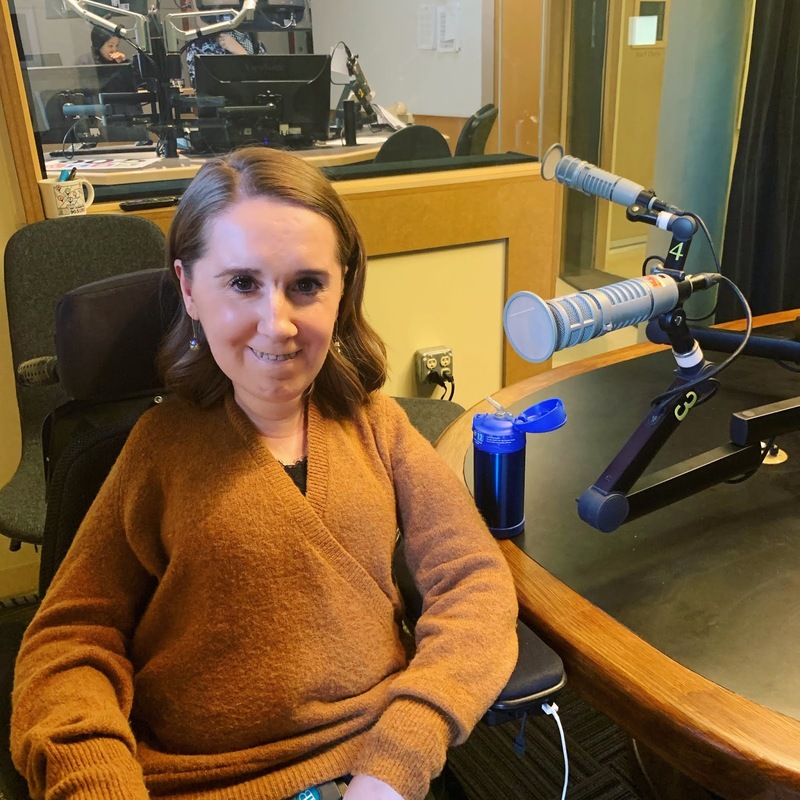 Wheelchair USA, but a live interview on the radio felt like something else altogether. When it's live, you can't really edit yourself or take too long to think about your words - you have the answer the questions as they come. I was a little bit nervous ahead of time, but it was so much fun! The host made me feel completely at ease, and honestly, the time flew by. This might sound funny, but I think that the interview was so exciting because it made me feel legitimate, because people were actually hearing about and interested in the work I've been doing! Advocacy work can be challenging because there are so many no's, and it feels a lot like I'm shouting into a void; banging my head against a wall. So whenever people are interested in hearing more about my work, I take it as a really good, positive sign. The other update is a reminder about the Inclusive Innovation Summit this week! Check out the event link here, and the Facebook link for the All-In Silent Disco here (and read about last year's here). It's Friday at 7 PM at the Children's Museum, and I would love for you all to come! It's an event focused on both inclusion and fun, and that's pretty rare. Accessible YOUniverse will also be holding a session on Saturday at 1:45 PM about going beyond the ADA for full inclusion. The Inclusive Innovation team has been so open to improving their accessibility, and the Summit is such a really such a great event. I hope to see you all there!